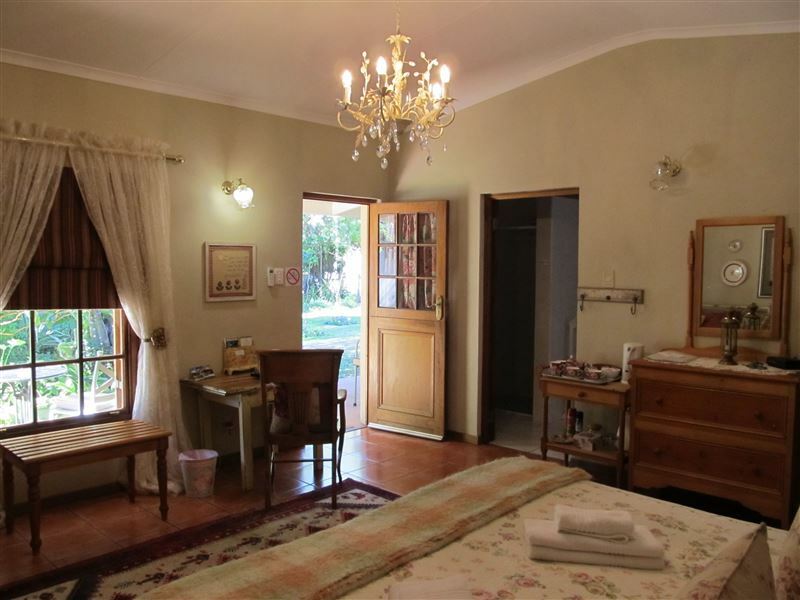 In the heart of Graaff-Reinet lies Avondrust, an imposing guest house and B&B with gracious living as its philosophy. Your caring hosts since 15 September 2007 are Nico and Hanniki Hattingh. Nico left a thriving business in Johannesburg behind because he fell in love with the Karoo and it was always Hanniki&apos;s dream to have a guest house where she could spoil, pamper and serve people. <br /><br />The two Luxury Suites are found in the manor house and have separate entrances, private lounges, verandas and summerhouses. There is also a romantic Honeymoon Room and four Deluxe Rooms. These rooms are en-suite and have private entrances leading onto the tranquil garden behind the imposing Edwardian &apos;Feather Baron&apos; mansion. All rooms boast space, privacy and comfort and have the use of a large pool overlooking the mountains. DStv is available in the guest lounge and country breakfasts are served with farm fresh eggs and milk. Avondrust is within walking distance of all shops, museums and restaurants. "From the warm welcome, the wonderful room, excellent bed and luxurious linen, scrumptious breakfast, beautiful garden, and proximity to restaurants and key attractions, this is truly a must when staying over in Graaff Reinet. We&apos;ll definitely be back." "Roy organized a restaurant which served the best karoo lamb and creme brule I have ever had. The accommodation was very spacious with attention to every detail and very tastefully decorated. The English breakfast included scones and had a special flavour to the fruit salad. The tea served in the garden on arrival had a variety of home-made biscuits. The trust-bar and full DSTV are set in a very comfortable lounge with an absorbing collection of books and magazines. The same discreet and helpful Roy, took pains to guide us to a town of whose sights were remarkable, in particular the &apos;Valley of Desolation&apos;. Definitely a BB and town we plan to revisit." "Most comfortable , spacious accommodation , great breakfast and charming host - Roy went out of his way to make arrangements for us and show us where to go in Graaff Rienet. Highly recommended."